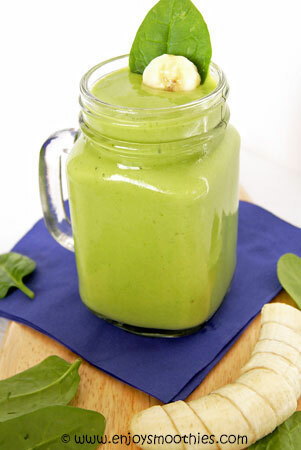 If you are just starting out on your green smoothie journey then a banana spinach smoothie is the ideal place to start, particularly if you are trying to convince others in your family to drink them as well. Sweetened with banana, you or they will not be able to taste the spinach. It’s probably a bit hard to disguise the fact they have greens in them, as they usually come out looking green. 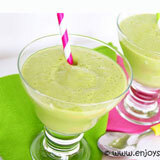 But the combination of spinach and banana tastes surprisingly good, so it won’t be too difficult to convince them to try this funny colored drink. 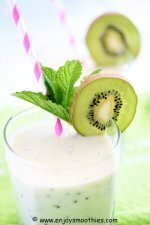 So that you don’t become bored with the combination, you can also add other fruits. Adding berries will give you a green berry delight, while mango and pineapple will take you to the tropics. Place spinach leaves in the bottom of a blender. Add frozen banana, almond milk yogurt and 1 teaspoon of vanilla extract. 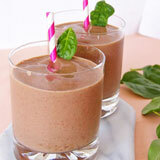 Blend until smooth and creamy, then taste. If you want a stronger vanilla flavour, add more extract. Place the spinach leaves into the blender first then add the fruit. If you are using fresh strawberries throw in a frozen banana for that characteristic chill and creaminess. 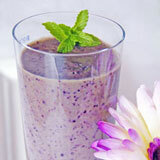 Top with almond milk and yogurt and blitz until ingredients are blended and your smoothie is thick and creamy. 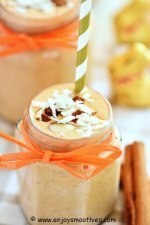 This is one of the creamiest smoothies ever. I promise it will taste nothing like a green smoothie. Why? 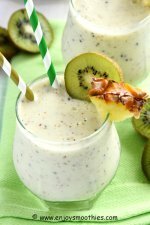 Because it uses three ingredients which are known to be smoothie thickeners: mango, banana and yogurt. When you throw them all together, what you end up with is the thickest, smoothest drink ever. 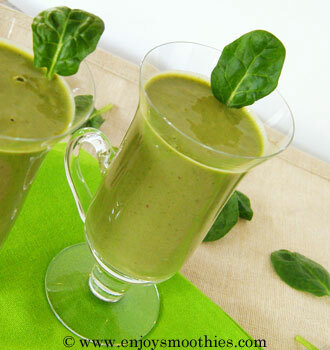 Place a handful of baby spinach leaves into the bottom of your blender. Then add frozen mango, frozen banana, pineapple, coconut milk and yogurt. 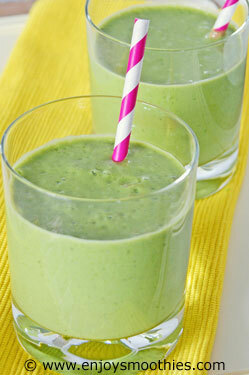 Blitz all together until the greens are pulverised and your smoothie becomes thick and creamy.